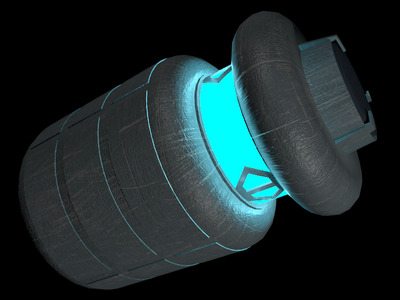 The EMP Grenade has become known as the standard in single-man, portable electro-magnetic pulse weapons; used by various mercenaries and well-trained soldiers alike. No expense was spared in ergonomically designing the grenade for use by nearly any type of sentient appendage, and its weight is deployable by even the smallest of beings. The EMP Grenade is considered the best and only choice for equalizing a battleground against a droid army. It has nearly no explosive effects, which also allows it be used freely in close quarters. The grenade can disable or slow the heaviest armored machine in seconds or be used easily against any number of electronic security measures.